An exclusive development of 11 high-specification new homes in Rugeley has been hailed a success, with five of the plots already reserved, and early bird and assisted move reservations currently held on two further plots. 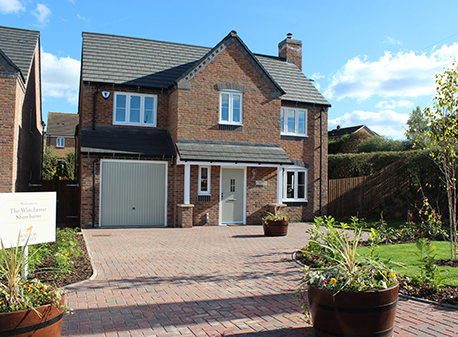 Housebuilder Walton Homes chose to site another development in the town following the response to its previous Rugeley site, Woodbury Walk, and reports high levels of interest in the development having opened the doors to its stunning show-home, The Winchester. Hathorn Manor is located off Wolsley Road, and comprises of 11 four- and five-bedroom high-specification luxury properties. Amy Summerton, director of the business, said: “We’ve already had a lot of interest from potential buyers due to the development’s location, lying on the outskirts of Rugeley and bordering Cannock Chase, and we’re confident that when they see the specification of the properties, they won’t be disappointed. “Prior to launching the show-home, we’d had exceptional interest in the properties with more than 40 per cent being allocated at launch phase, which further cements our belief that the time was ripe for a new luxury site n the town.